Did you know that Shakespeare introduced thousands of words into the English language? Do you know what unusual item he left to his wife in his will? Have you heard of the conspiracy theory that suggests Shakespeare didn't write the plays we attribute to him today? 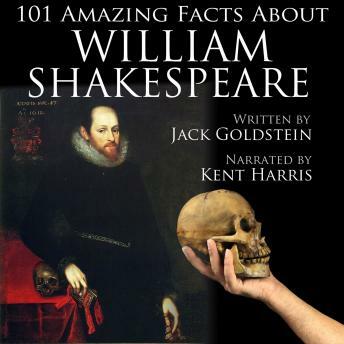 In this fascinating audiobook, narrator Kent Harris talks us through all of this and more as we discover over one hundred amazing facts about the Great Bard. Whether you've seen all his plays or you're just learning about England's greatest playwright, this is the perfect audiobook for you.